Mr. 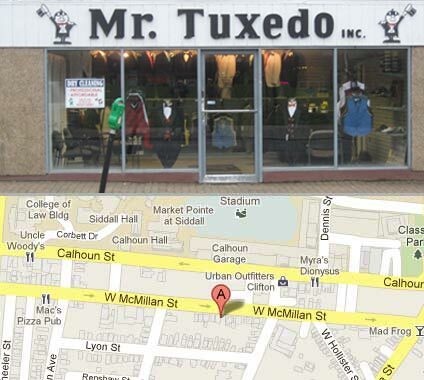 Tuxedo is located in the heart of Clifton on the campus of the University of Cincinnati. This Mr. Tuxedo is run by manager, Mr. Sean Kelley. Please feel free to call or email if you have any questions regarding tuxedo rental. 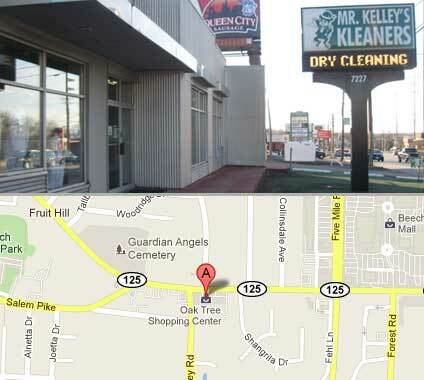 Mr. Kelley's Kleaners is located in Beechmont, Ohio. This Mr. Tuxedo is run by manager, Mr. Michael Faust. Please feel free to call or email if you have any questions regarding tuxedo rental. Started in 1960, Mr. Tuxedo Inc. has been serving the Tri-State longer than any formal wear store in the area. Throughout the years, we have built our business by surpassing customer's expectations. Our superior prices and service have been the driving force behind our business and we've remained committed to superior clothing and quality service.